Content marketing appeal relies heavily on the quality of the content as well as the interest it generates. Obviously the better the content, the more regular the following and the more likely it is that content sharing will occur. All of this equals greater traffic flow to your blog or ecommerce site. Of course, keeping the content fresh and coming across as a knowledgeable expert in the field can be difficult to do on a regular basis. Even those who truly are well versed on a particular subject can run out of fresh content or get lost when it comes to tracking down the latest information on a topic. There is so much information to filter through online that trying to find relevant and current data can be tricky. Not to mention, not everyone has time to do this kind of research just to track down data to spruce up your content marketing to increase your inbound marketing. However, there is a very useful tool that can help make it possible for you to get exactly this type of useful and current information. As useful as Google is for searching for keywords and search terms via SEO, it can be improved upon even more. 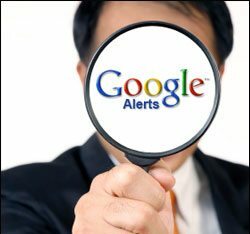 By using Google Alerts you can actually have the keyword search done for you. In fact, you can have the results delivered to your email inbox. Your inbound marketing relies heavily upon you, as the writer, providing content that represents you as an expert in the field. 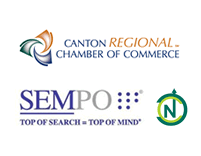 With the right content, you can even establish credibility as the expert in the industry to refer to for information. By using Google Alerts you can use keywords and phrases or terms and be ‘alerted’ to news, articles, blogs and other content that could help you with your own content marketing. By being notified via email when new content is posted or generated in relation to your field, you can get the latest quality content without the hassle of searching for it. The best way to be perceived as an expert in your field is to have the latest data, which actually does make you one. Although Google may not catch all posts and web pages put up live that relate to your keywords and search terms, it does a thorough job as a keyword tool. With the time it would take to perform this type of search task, it is probably more efficient than the average web surfer anyway. Creating a Google Alert is simple, too. It’s nothing more than a matter of providing the form with the search terms you wish to monitor, the type of search and how often you would like to be alerted and you have it set up. Enter the email address you want to use and click to create alert and the process begins. You can add more or alter what you have as you receive notifications and find you may want to change what you have set up. Monitor the quality you get and make sure it is relevant to what you want. If not, simply adjust the keywords and see what different results you find.